Eeeek! 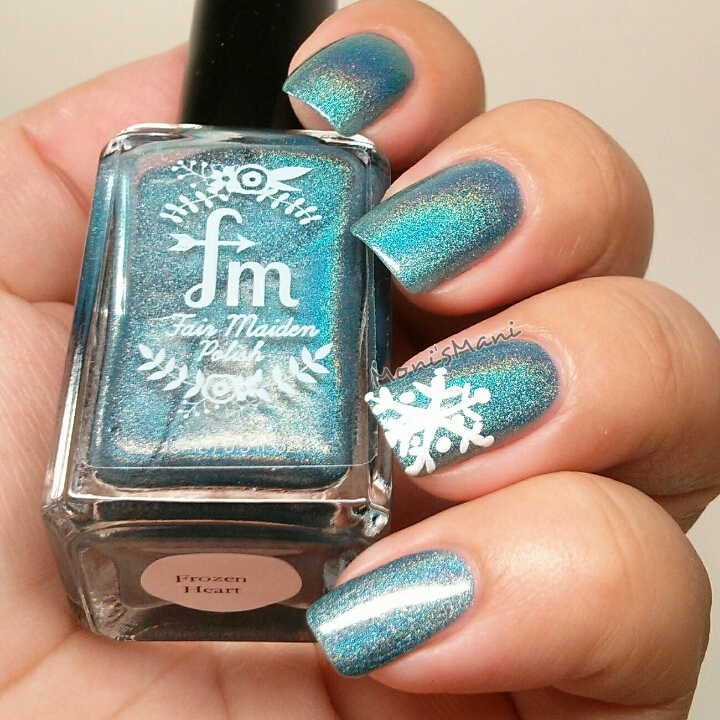 Have you seen Fair Maiden Polish swatches going around? I have!! They look amazing!!! So, I placed an order taking advantage of their Black Friday deals and the lovely Sarah and Adrienne threw in four pretties for me to swatch. THANK YOU ladies!! Can we first talk about the label? Isn’t it the prettiest? So feminine and dainty. This is one of the first things that drew me to this brand, second; the names!! I’m such a sucker for fairy tales etc. so yeah.. They kinda had me at hello. BUT I am so happy our little love affair continues after having tried their polish. 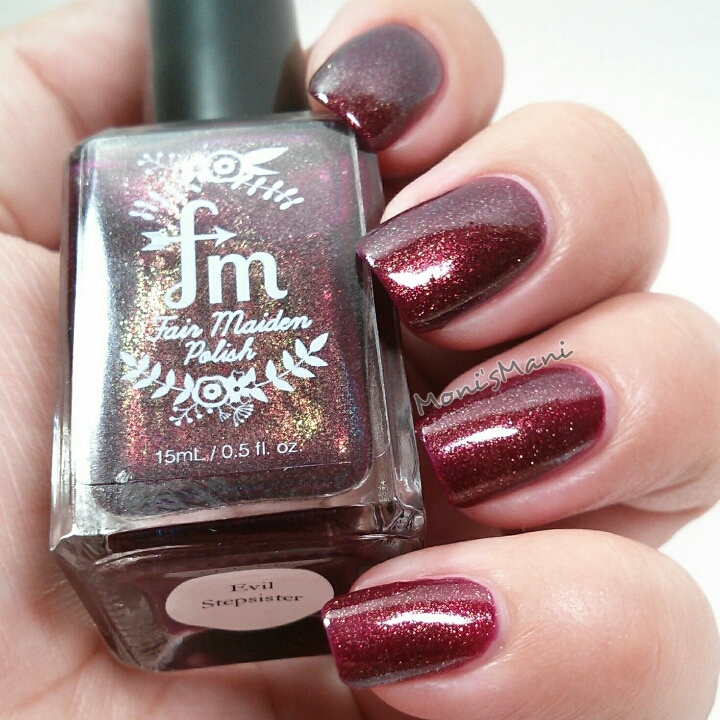 *Evil Stepsister- a gorgeous deep burgundy polish with gold shimmer, SO beautiful. You see two coats no top coat in the pics. I decided to do a little freehanded flowers using white, black and this polish. 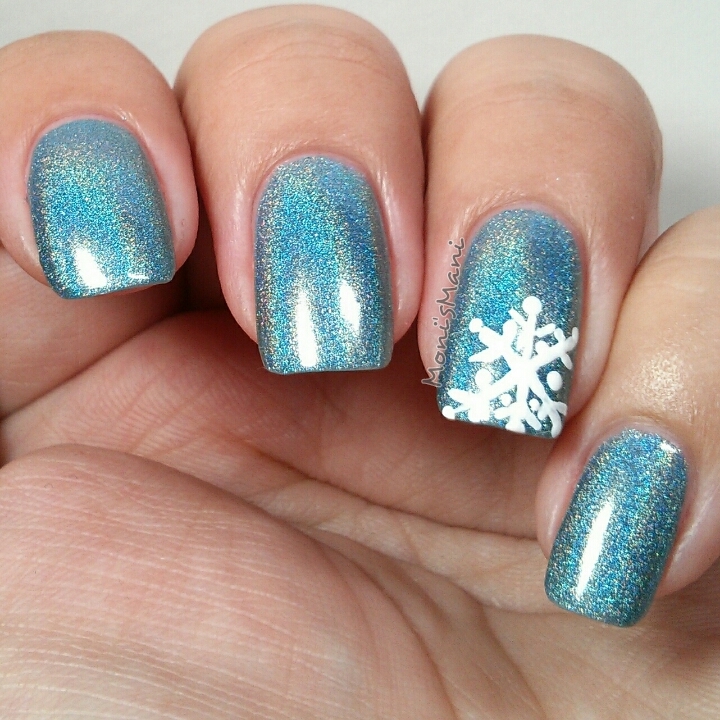 *Frozen Heart- this polish is GORGEOUS!!! Pictures really do not do it justice. This is a bright blue linear holo polish that’s a show stopper. Of course because of the name I decided to freehand a little snowflake, did not want to do more to it because I didn’t want to cover this beauty. 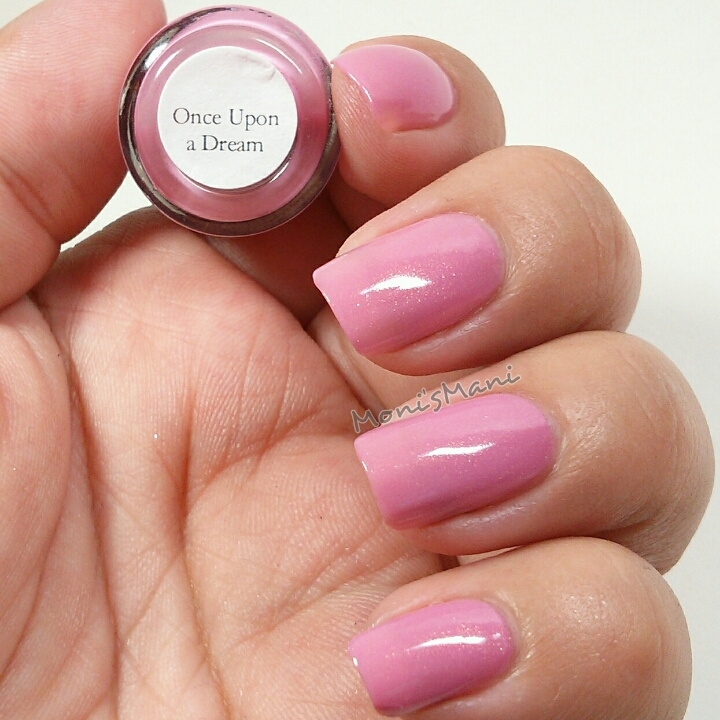 *Once upon a dream- isn’t that such a pretty name? 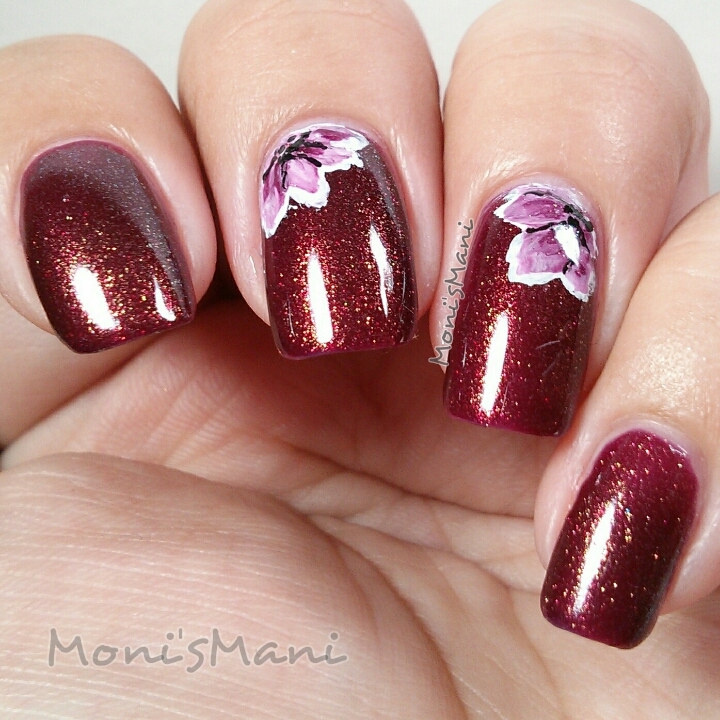 The polish is a soft violet pink with gold shimmer. SO pretty and dainty and feminine.. So beautiful. Please forgive the awkward poses, it’s kind of hard for me to pose with minis. This baby needed to be vamped so I laced it up. Hope you like it! 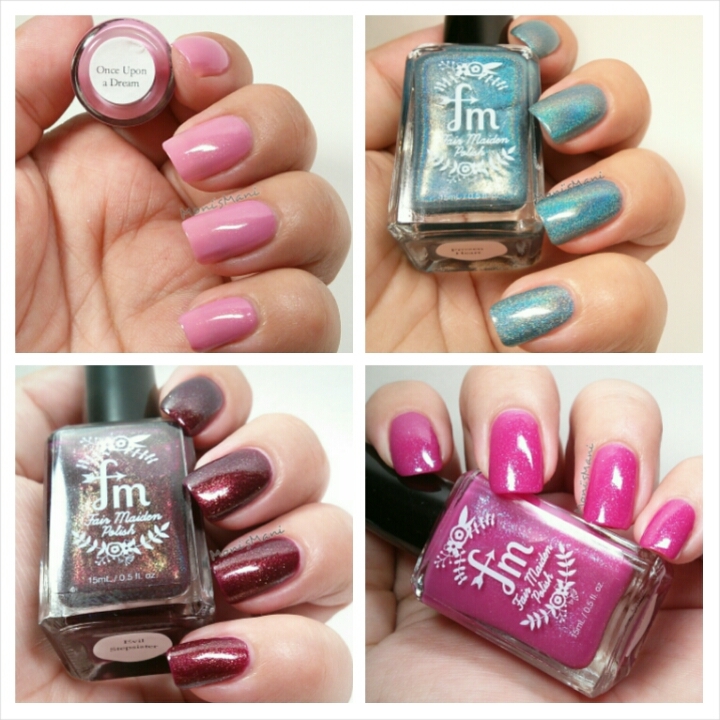 Overall I think it’s pretty clear that I loved all four of these polishes. The formulas were all very nice and easy to apply, the drying time was great, the bottles and presentation are a 10. So, yes! 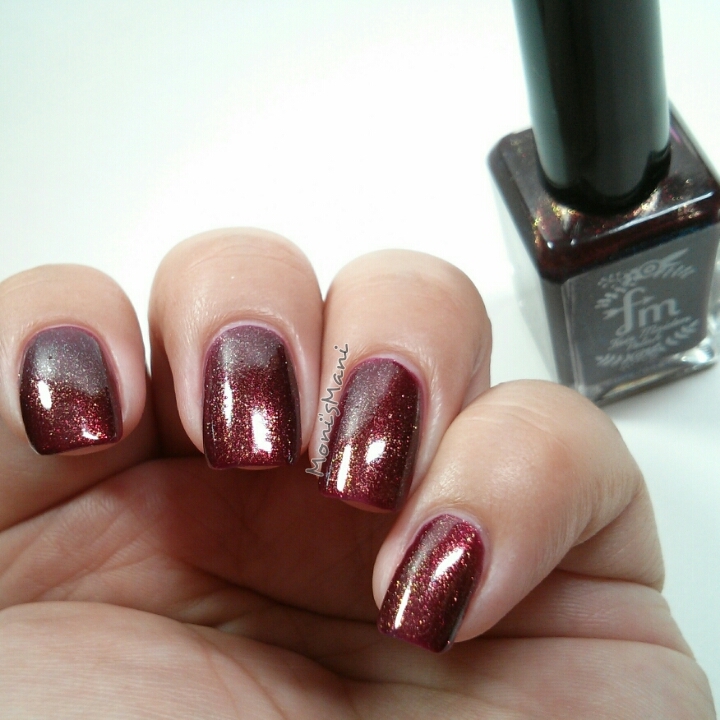 Definitely try Fair Maiden Polish. I’m sure you’ll love the polish as much as I did. Thank you so much for reading and thank you Sarah and Adrienne for letting me review your product! you’ve made a fan out of me! Gorgeous swatches! That last black & pink mani, wow! Awww you read me! You really read me!!! Thank you so much!!!! !